As a preface, I’ll point out that it has long been a peeve of mine (and many others in the bluegrass world) that Earl Scruggs has not been given his due as a major driving force in the development and popularity of bluegrass music. This issue can and likely will be debated for a long time, but the more I learn about bluegrass history, the more I see that his contribution has been minimized by people who focus instead on Monroe – as the “father” (which I do think Monroe was) of bluegrass, and as the one focal point of the entire scene. Nowhere has this been more obvious than at the International Bluegrass Music Museum – until last Tuesday. Of course this year is exceptional, but the Monroe focus of the museum has long been evident, and while the other greats of bluegrass are present in different places, the contributions of Scruggs, the Stanleys, Jimmy Martin, and so many others, somehow appear quite secondary. As you all know, we are here thanks to the wisdom, work, and vision of the International Bluegrass Music Museum, in the same building asthat amazing institution, almost twenty years old now. Some people might look at the museum this year and think,understandably, it is sort of the “Bill Monroe Museum”. Given this very special year, we hope everyone understands and is on board with the obvious emphasis lately. And of course we all know how proud Bill Monroe was of being from Kentucky – not far from right here – and named his band after Kentucky, which is what gave our music its name. A man who, starting at age 21, brought a new fire toMonroe’s music. It was more than “the sound of a banjo”, which had already been a part of Monroe’s music – it was a miracle of what human fingers could do on a musical instrument to electrify listeners. It was a perfect match for BillMonroe’s music – strong, clear, smooth, clean and honest, and filled with the intense fire, beauty, and pride of the South, for all to hear. It reached New York (Weissberg, Grisman, Fleck), West Virginia(Don Stover), Missouri (Doug Dillard, John Hartford), California (Alison Brown,Steve Martin). They all became part of bluegrass music. The bluegrass sound as we know it today was complete as of December, 1945. Some might call this new sound the “rocket booster” that tookbluegrass beyond the American South… to the whole country… overseas to Europe and Japan, and to the stars, for all time. Pete Wernick has a goal to introduce as many people as possible to the pleasures of playing bluegrass music with friends, family, and even strangers. Since 1999 he has taught over 1,000 at full-immersion 3 and 4 day Bluegrass Jam Camps across the USA. Last year he stepped up his efforts by launching the Wernick Method Bluegrass Network, training and certifying qualified teachers to offer jam classes in their own communities. The first five completed classes, in Maryland, Wyoming, South Carolina, Pennsylvania, and New Jersey, drew an average of 15 students and received positive student evaluations. Another 12 classes are scheduled for spring of 2011 in Nevada, Massachusetts, Arizona, Virginia, Texas, North Carolina, Pennsylvania, New Jersey, Colorado, Wisconsin, and Queensland Australia. The classes teach such skills as how to follow and learn new songs in a jam, faking solos, finding melodies by ear, leading songs, and the informal ground rules and etiquette used in bluegrass jams worldwide. It’s mostly just common sense, but people who have only played music by themselves, in the closet or for one other person, often start off bewildered. Between the first session and the later ones, there’s a huge gain in confidence, and typically these folks will now be jammers for life. I am psyched that so many talented teachers want to join forces in helping these untold thousands of people who really want to learn to jam. We provide a lot of support—a flyer, publicity, the same student materials I developed for our camps, the registration and evaluation processes, as well as the teacher training. The teachers say they’re pleased with us so far. – Pete Wernick. 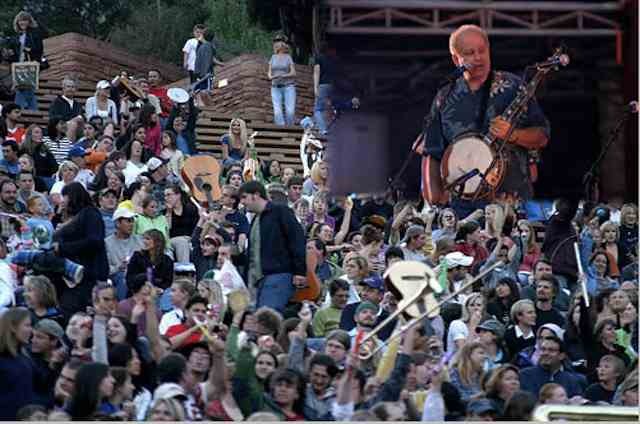 Pete’s own jam camps for 2011 will all take place between April and June, two on weekends in April near his home in Colorado, and his three annual camps preceding major festivals: April in Boomer, NC (pre-MerleFest), May in Gettysburg, PA, and June in Owensboro, KY (pre-ROMP). The Boomer camp includes a popular intermediate track, and the Loveland, CO camp is devoted to intermediate jamming and band skills. The teaching teams at the camps include Pete’s wife Joan and selected local teachers. Wernick pioneered bluegrass camps in the 80s, first with a series of banjo instructional weeks in Oregon, and started his annual Colorado banjo camps in 1984. “Jam teaching didn’t exist then, but even with all banjos at my banjo camps I would always teach jam skills.” Student requests led him to try teaching groups with mixed instruments. He found coaching small group jams made for more effective teaching. A teacher normally just hears a student play solos, usually unaccompanied. Coaching people as they jam gives the teacher a much better idea of the needs and problems, and a hands-on lab for making improvements, all while people are having a good time jamming. I had good success with some three-Sundays jam classes in Boulder, and that led me to try full-blown camps. It took off from there—more camps, three jam instruction videos for Homespun, and I made my web site a hub for free jamming information and articles – Pete Wernick. For updated class schedules, visit www.DrBanjo.com. For all things jamming, click on the Jamalot page. On Monday Monday, 27th Sept. as part of this years IBMA conference sessions, Pete Wernick presented a session titled, I’d Like to Teach the World to Jam. Pete, (aka Dr. Banjo) has long held differing views on the process of teaching music to new students and has also been hosting music camps across the USA. Indeed Dr. Banjo has now hosted over 100 bluegrass music camps in 22 states across the USA, and also served on the staff of dozens more. Pete, continues to study what delivers results and makes musicians happy campers. At his IBMA presentation this week Pete over viewed trends and changes in bluegrass teaching, with an emphasis on what types of teaching is best at helping students stay motivated and achieve their goals. He presented the case that novices should learn to play rhythm and learn to jam before being taught how to play lead, and how developing singing and ear skills are more productive than the rote learning of instrumentals. The more progress a student makes in the early part of this musical development the more likely they are to continue the learning process. Pete has also recently announced that he is developing an international network of Bluegrass Jamming classes, led by Wernick-certified teachers who will host music classes and camps, specifically utilising Pete’s teaching methods. The first Australian camp is scheduled for 30th April – 2nd May 2011 at Golden Beach on Qld’s Sunshine Coast. Further information will be available soon from Pete’s website. News from Pete Wernick’s desk comes to us of a new Bluegrass Learning Network. Dr. Banjo is setting up an international group of teachers trained and certified to teach Pete’s methods of learning bluegrass. The goal is to bring effective and consistent teaching to as many places as possible, helping students and teachers alike. Rote learning and reading-based approaches, with students mostly working on playing instrumental breaks at home alone, shouldn’t be the only game in town according to Dr. Banjo. …my life was changed dramatically by Pete’s methods, when after only a month’s experience with a bass I came to one of his jam camps. I went as a chaperon for my 14-year-old son Chris, but left a full-fledged bluegrass jammer. Since then Chris and I have attended nine more of Pete’s camps, learning important new skills at each one, and now applying them directly to our performing duet and side musician work. So you can imagine how quickly I jumped at the chance to help Pete organize and promote a network that will make his methods available to teachers far and wide – Rick Saenz. Every student who picks up an instrument aspires not just to be a ‘really good closet player’, but to play music with other people in real bluegrass jams. Even those brave enough to play at a jam often find themselves embarrassed and frustrated because they aren’t properly prepared to join in – Pete Wernick. Teachers, here’s an opportunity to engage your students in a new, fun and effective way. Pickers, this would be great news to share with your instrument teacher as it will help him/her help you learn to jam right in your own community. Late breaking news – so far, classes have been scheduled in Maryland, California, and now in Australia. As many of you know, Pete discovered that he could teach any student (even an inexperienced dad!) to jam quickly by doing it in the context of a jam group. That ‘joy of jamming’ in turn motivates students to make steady progress in their jam skills. All in attendance are jamming on the first day, and by the end they are fully able to jam on their own and excited to do it. How did this all come about? After years as a lone voice advocating the learn to jam first, principle, Pete decided to make his techniques more widely available for other teachers to join in converting closet players into real pickers. The Wernick Bluegrass Learning Network will train teachers in Pete’s approach and methods, certify them to teach Wernick Method jam classes, provide them with course materials, and create customized advertising for their courses including listing on Pete’s extensive DrBanjo.com website. Scroll down to learn more about the Wernick Bluegrass Learning Network and how the certification process works. There’s a handy link to help you share this with fellow pickers and instructors too. The International Bluegrass Music Association has announced the list of people to receive this year’s Distinguished Achievement Award. This is an honour which recognizes individuals in the bluegrass music industry who have fostered the music’s image with developments that will broaden the genre’s recognition and accessibility. Watch for a new video next month released by Dr Banjo, Mr Pete Wernick. The DVD is called Make Up Your Own Solos #2, focusing on the keys of D, C, and F in G tuning without a capo, as well as up the neck in G.
This is the second in the series by Pete Wernick. Volume 1, released in July this year was reviewed recently in Banjo Newsletter. It covers basic soloing in G.
If you are looking to get a DVD or anything from our store in time for Dec. 24, it’s not too late. Orders we get by next Monday, Dec. 21 will go out that day to arrive within 3 days, at our usual rate. – Pete Wernick. The Red Rocks Amphitheatre played host to perhaps the world’s largest music lesson. At the Red Rocks Amphitheater in Morrison, Colorado, USA the Swallow Hill Music Association, Denver Film Society and Red Rocks hosted an audience of thousands in a attepmt to break the Guinness World Record for the largest music lesson. Pete Wernick (Dr Banjo), Billy Nershi and Trace Bundy taught some 7,000 people to play and singÂ This Land Is Your Land and Sweet Home Alabama. Of the near-sellout crowd 815 were instrumentalists. The event, organized by Denver’s Swallow Hill Music Association, was threatened all day by rain, but as the sun came out and the crowd swelled, the three performers, assisted by over 20 other music instructors, made the skies ring with handmade music. In my book, a “successful musician” is “a person who enjoys playing music”. In times of challenging economics, isn’t it wonderful that music making costs little or nothing? Good times with friends and family bring us cheer, and music warms the heart. I hope you will have music as part of your holidays, and if you are looking for gift ideas for musical people in your life, we have some good ones. We regularly hear from people who spend hours playing along with our bluegrass jamming DVDs. Folks love them, and say they feel they know us, from all the times spent jamming with us! These are among my most popular items ever, especially the Slow Jam Video, suitable for any person just starting to play any bluegrass instrument. 17 favorite songs at very gentle tempos, and only 4 chords (G, C, D, A) used on the whole video! No way of starting to play could be easier. Music reading, lead playing are not necessary; all chords are shown on screen. Young and old alike will love this super-easy introduction to music making. My Bluegrass Songbook has sold over 100,000 copies, but there’s still a good chance that a bluegrass-loving friend of yours doesn’t have one! This is another item that gets many hours of use, year after year. Joan and I wish you a happy and healthy holiday and new year! For more information about any of the camps, visit www.DrBanjo.com. 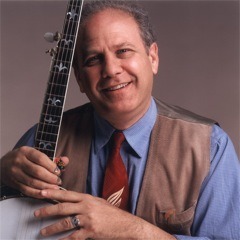 Dr Banjo, aka Pete Wernick has been running his bluegrass jam camps across the USA for many years. 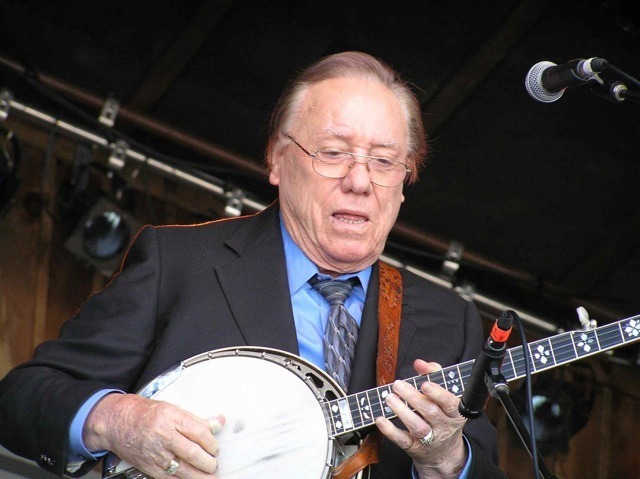 His encouragement, group tuition and jamming tips along with the many inside stories on the history of bluegrass music, continue to enthuse and be an inspiration to many closet pickers attending his jam camps. Pete’s work has been recently showcased in an article in the August edition of Reader’s Digest, written by David Hochman. David writes of his experiences through his recent discovery of the mandolin, which he received for his 40th birthday, and of the revelations that came from his attending one of Dr Banjo’s jam camps in Boulder Colorado this year.